Tis the season for giving, consider welcoming a senior pet in to your loving home. Jake is an 11 year old, gentle male who isn't asking for much, just a loving owner and a permanent home to lay his head in his golden years. 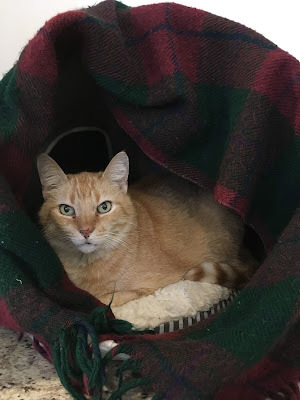 He is your typical affectionate orange tabby and has a clean bill of health. Can you make his dream of a loving family finally come true this holiday season? Please stop by our shelter located at 506B Curtis Corner Road in Peace Dale or call 401-783-7606 for more information about Jake or our many other adoptable pets waiting for their new forever homes.